Steven Kapur, also known as Apache Indian, is recognized for his distinct reggae style which combines elements of Jamaican, Indian, and English music. 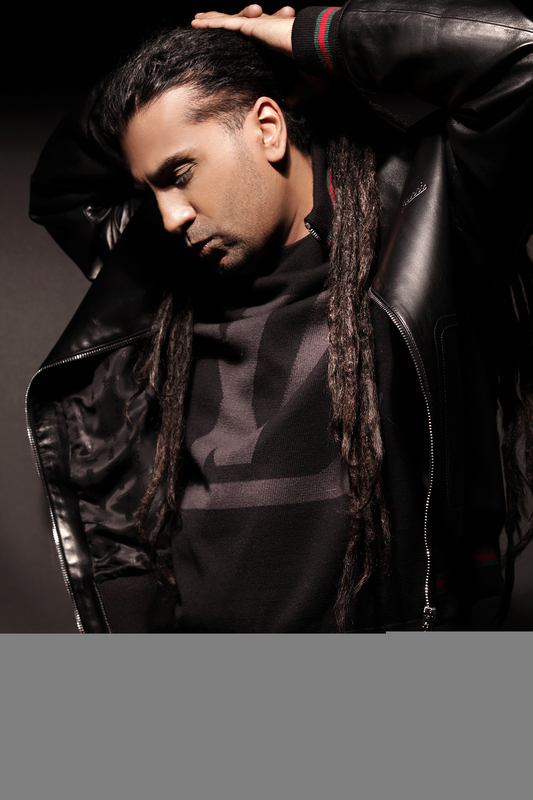 Born in Handsworth, Birmingham, to a family of Indian origins, Apache Indian began to make a name for himself as a DJ, with his first single, “Move Over India,” released in 1990. This track was positively received, and he continued to make music which combined ragga and bhangra, releasing “Chok There” and “Don Raja.” In 1993, he released his first album No Reservations and in 1997, he released his next album Make Way for the Indian. He then put out Real People, the album which really showcased his ability to incorporate his Indian roots with his music. He has since collaborated with hit producers Jim Beanz and Charlie Hype, and worked with artists ranging from Boy George to Asha Bhosle. Apache Indian is also known as one of the earliest UK artists of Asian origin to have a significant impact on the UK charts. In 2013, he opened the Apache Indian Music Academy at South and City College, in his hometown of Handsworth. Because of his global impact on the music industry, he has been awarded the Lifetime Achievement award from the UK Asian Music Awards in 2011, the Brit Asia TV network in 2013 and 2014, and the Black Country Asian Business Association in 2015. What happens when you mix hip hop and garage with traditional Desi beats? That’s the question Rajinder Singh Rai, global star DJ and producer of Punjabi descent, proposed in the ‘90s. The groundbreaking musical mashup of the British phenom Panjabi MC has answered that query with a thunderous international reverberation, a revolution in Asian underground sound. His first major hit record, 2002’s Mundian To Bach Ke, was transformative not only because it broke through to #1 on top charts around the globe (Italy, Belgium), but also was the first purely Asian vocal album to be included on the BBC Radio 1 playlist and UK singles list. This set the stage for Bhangra appreciation all over the world. When Jay-Z asked to collaborate with Panjabi on Beware of the Boys, the deejay’s status as leading international artist was forever forged. The following crossover single “Jogi” (featuring Beanie Man) kept the momentum rolling on, taking over dance floors with jouncing rhythms. Subsequent singles “Jatt Ho Giya Sharabee,” “Kori (Giddah),” “Snake Charmer” and “Moorni,” along with musical alliances with Beyoncé, DJ Premier and The Pussycat Dolls, have catapulted Panjabi to infinite international fame. A winner of the world’s best-selling Indian artist of the year honor (The World Music Awards), DJ Panjabi has truly put Bhangra on the map. Born in London, this multi-talented DJ, producer, curator and activist is known for bringing Bhangra to the West. As she masterfully melds traditional Bhangra and Bollywood styles with modern EDM, DJ Rekha outputs eclectic, electric sounds that light up the international stage. With DJ sets that span Brazilian Baile Funk to Balkan Beats, her mixing is rave-worthy. Her first LP, 2008’s DJ Rekha presents Basement Bhangra, featuring a Wyclef Jean track, received a Best DJ Album nomination at the Plug Awards. A skillful promoter as well, she has spearheaded several wildly popular club nights, including Basement Bhangra™, Bollywood Disco and Mutiny Club (as co-founder). Her musical production has graced a wide variety of stages; she was the sound designer for TONY award-winner Bridge and Tunnel, and received a Drama Desk nomination for her dynamic work in “Rafta Rafta.” Appointed the “Ambassador of Bhangra” by The New York Times, Newsweek has credited Rekha as being one of the most influential South Asians in the US. With an upbringing in England and India, Rekha has thankfully made NYC her home. Regularly performing at massively attended events such as P.S.1’s Warm Up, Rekha has received widespread recognition for her efforts, as an inductee into New York City’s Peoples’ Hall of Fame. Last January she was proudly selected as an official DJ for the momentous Women’s March on Washington. A courageously authoritative voice in the feminist movement, Madame Gandhi uses her platform as an artist to draw searing attention to imperative issues of today. The LA-based drummer, visual artist and activist employs a cadre of talents in expressing her message, and is unafraid to ruffle the establishment (as seen in her institution-shaking London marathon run). Harkening back to her teenage years, Kiran Gandhi took up drums because “girls weren’t supposed to play.” The immensely gifted musician then graduated from Harvard, toured as M.I.A.’s drummer and worked for Spotify and Interscope Records, a testament to her diverse abilities. In 2015, Madame Gandhi was officially born, a joint effort with sound designer chum Alexia Riner. Hitting the studio hard, she curated members of Tune-Yards and Alt J. to accompany her on her debut record Voices. The album explores effective methods on tumbling the patriarchal system, but also highlights facets of Kiran’s own experience as a female. With pounding percussive beats, she drums away and intones without the slightest inhibition. Mixed with trippy synths, the haunting spoken-word vocals on the internationally-treasured single “Her” make this the signature Madame Gandhi track. The first DJ who Shilpa rocked out to was her dad. As her father’s faithful roadie, twelve-year-old Shilpa found herself working gigs every weekend and quickly falling in love with the craft. Forgoing Barbie dolls and instead playing with two scratched up hand-me-down turntables, Shilpa turned her bedroom into a DJ booth and taught herself how to spin. Growing up playing and writing music, she naturally killed it at NYC’s Dubspot DJ School and is an Ableton Live Certified Producer. Her sincere ambition and dedication to her work gives her a huge edge in the industry; Shilpa is a trained voice over artist, making her MC work miles ahead of the pack. With 15 years of experience and an impressive portfolio, DJ Shilpa has earned her place as one of the most in demand South Asian DJs. Shipla travelled internationally to perform at a variety of venues, from gritty underground spaces to luxurious banquet halls. She is far from predictable and can kick it with any genre of music, effortlessly mixing even Bollywood with old school hip hop. You can dance to DJ Shilpa’s seamless transitions, unique mixes and irresistible energy in the hottest clubs in NYC and NJ including Tenjune, Solas, 49 Grove, 1Oak, Pranna and Pacha.